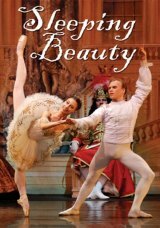 Featuring enamoring sets and costumes along with breath-taking authentic Russian choreography by the legendary Yury Grigorovich, State Ballet Theatre’s production of “Sleeping Beauty” is an enthralling sight to behold. With every grand jeté and chasse, the company of 60 of Russia’s finest dancers will leave you mesmerized. Tchaikovsky based “Sleeping Beauty” on the Brothers Grimm’s version of Charles Perrault's "La Belle au bois dormant." On January 15, 1890, “Sleeping Beauty” premiered at the Marinsky Theatre in St. Petersburg complete with choreography by Marius Petipa. Over a century later, the ballet remains one of the world’s most beloved performances. Tickets to “Sleeping Beauty” are $91.32/76.04/65.13/54.21. To see this spellbinding performance on the Keith Albee Stage, contact the Marshall Artists Series Box Office at 304-696-6656. Or order tickets online at Ticketmaster.com. You may also visit our box office located in the Joan C. Edwards Playhouse on the Marshall University campus. Box office hours are Monday through Friday 12 p.m. to 5 p.m.
Sleeping Beauty is sponsored by Earleen Heiner Agee and Robert W. Agee Fund of the Foundation for the Tri-State Community, Inc., National Resource Partners, Cabell County Commission, Dr. Stephen Nicholas, KEE 100, B97, The Herald Dispatch, WSAZ, Marshall University, and the Marshall Artists Series.